In my last two blogs I talked about the process of applying for the Northern Writers’ Awards and getting all the components ready in time. And the good news is I Did It. Entry in on 17th January a full three and a half hours before the deadline. Was I satisfied with my submission? Of course not. There are still some problems with the plot and I would have liked to have worked more on the ending. But I was reasonably happy with the first 5,000 words and I did at least find a working title for my novel in progress. I didn’t have much time to think about the title, but ‘Riding the High Road’ suffices for now, reflecting the physical fact of the characters bombing around Scotland on a Harley, and possibly serving as a metaphor for their emotional journeys. The deadline passed two weeks ago and life has claimed its right to take over completely. Tuesday being virtually the first day off I’ve had all year, I thought I’d go easy on myself. But still I found myself feeling despondent about how to regain momentum with the writing. Half heartedly staring at other people’s blogs wasn’t helping, so I decided on complete diversion and embarked on the well over-due task of apple chutney making. I wrote Apples, for Mslexia’s autobiographical theme in 2002, talking of the glut of apples in my childhood Septembers. 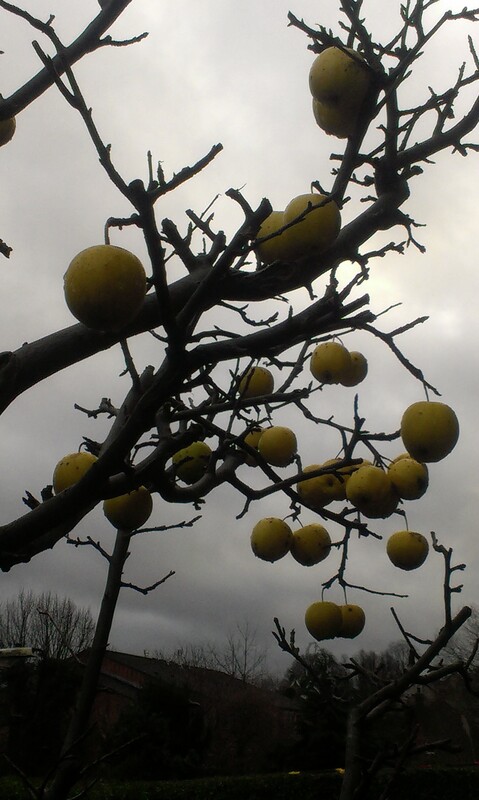 Since then I have moved to a house with two small but prolific apple trees and my annual quest is to use the fruit before it rots. 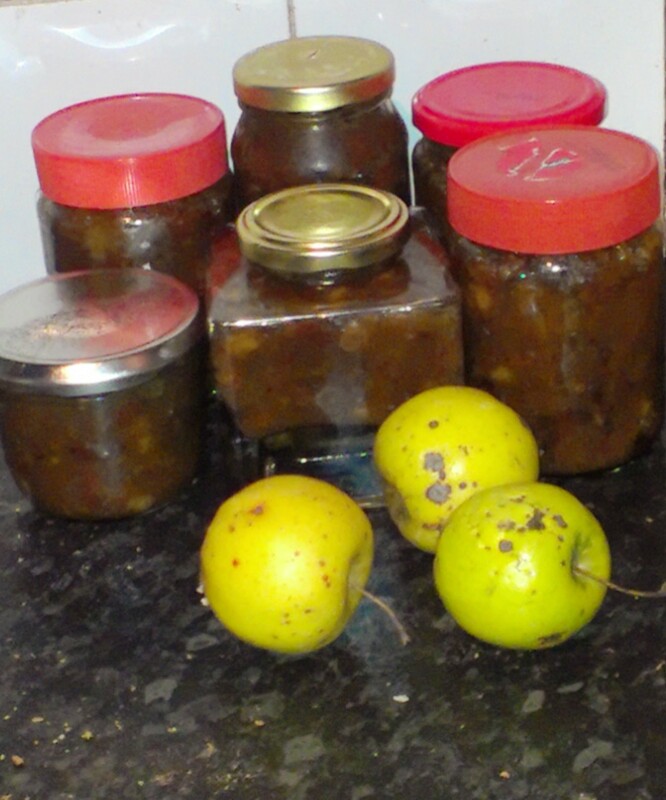 The later fruiting tree still has apples unpicked, they last better on the tree, but the collection of windfalls is fast shrivelling and chutney making well over-due. So chutney it was and as I peeled and cored and chopped the thoughts stirred about the novel: the enjoyment I will have when I finish the first draft and get to do all that lovely re-shaping. I thought of finding out more about the art and motorcycles; about setting up my dad’s old telescope to look at the stars. All in the name of research: such hardship. And ideas started pricking through about how to get to the end of the first draft. Activity isn’t always procrastination. Sometimes it can help the writing process more than staring at a screen. On my next day off I’ll make a start on those final chapters.